In a rare reversal of influence, she was inspired to draw by her daughter, Nicotye Samayualie. Kudluajuk’s works are very narrative and literal. 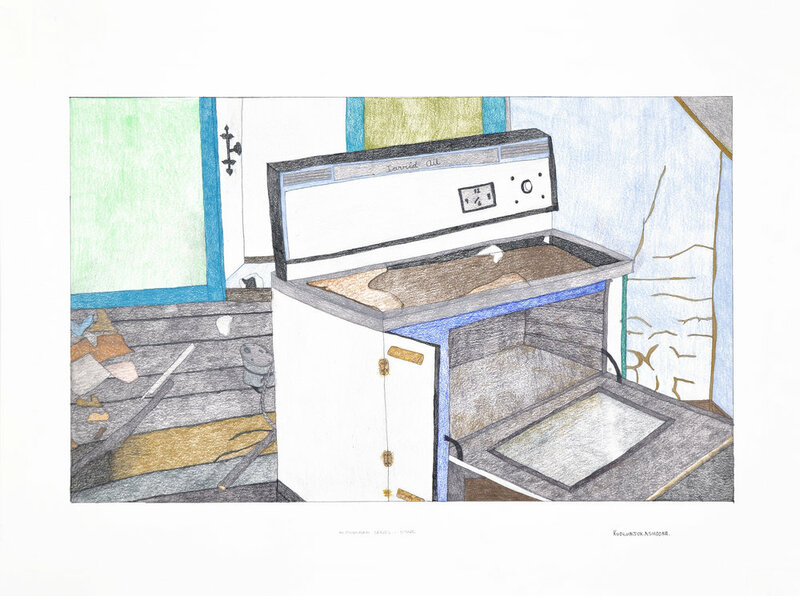 Her drawings often depict scenes of contemporary family life.